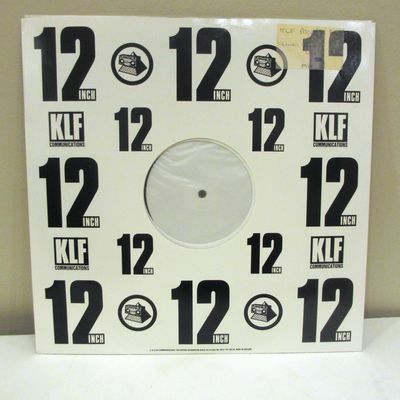 You are bidding on the original and authentic KLF 92 Promo 3. Only 20 were made, and it’s unclear how many of those 20 still exist. It is a one sided, white label with the track What Time Is Love (Acid Mix). This is a very unique remix of What Time is Love. The track length is approximately 5:50. This remix was never officially released on CD, and the CDs that include this mix are rarities as well. I’ll also include FLAC file of the track professionally converted from the original 12” at a sample rate of 96,000 Hz at 24 bits per sample. Condition: The condition is excellent due to a few light scratches on the surface of the record. They do not negatively affect the playback, and the record sounds great. The original KLF sleeve is still glossy, and only has the slightest wear on the edges. There is a sticker with artist and track info on the white side of the sleeve. Please no low feedback or no feedback bidders. If you bid I will most likely cancel it. ASK ALL QUESTIONS BEFORE YOU BID. Insurance included in shipping price unless specifically noted. All items include delivery confirmation in shipping cost. All items shipped outside the US include tracking and insurance. In many cases the only way to insure a package to be shipped outside the United States is Global Express Mail which can be quite expensive. Please keep this in mind if you are an international bidder. Credit card payments can be made by PayPal. No personal checks. If you don't respond within 3 days of auctions end you will get a warning. Payment must be received within 7 days of close, or the item can be relisted and you will be reported to eBay. Items paid for with PayPal must be shipped to a confirmed address. It's worth mentioning that another copy of this sold in 2003 for $910 US.